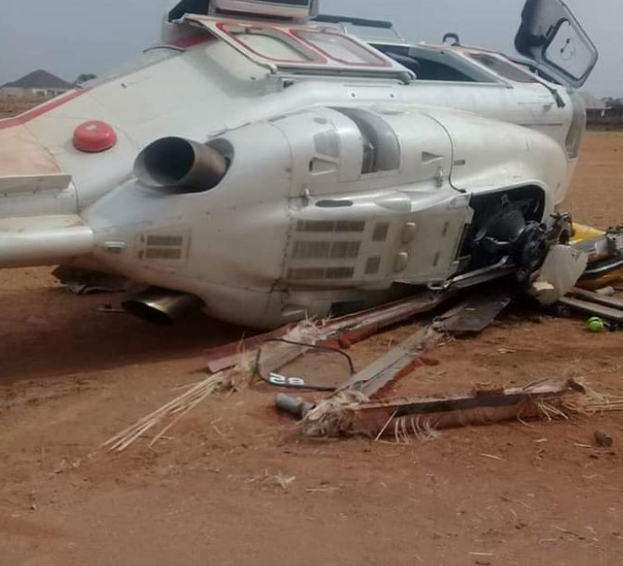 Vice President of Nigeria, Yemi Osinbajos today escaped death after his helicopter crashed in Kogi as a result of the propeller which pulled off at the Kabba township stadium in Kabba / Bunu local Government Area of the state. 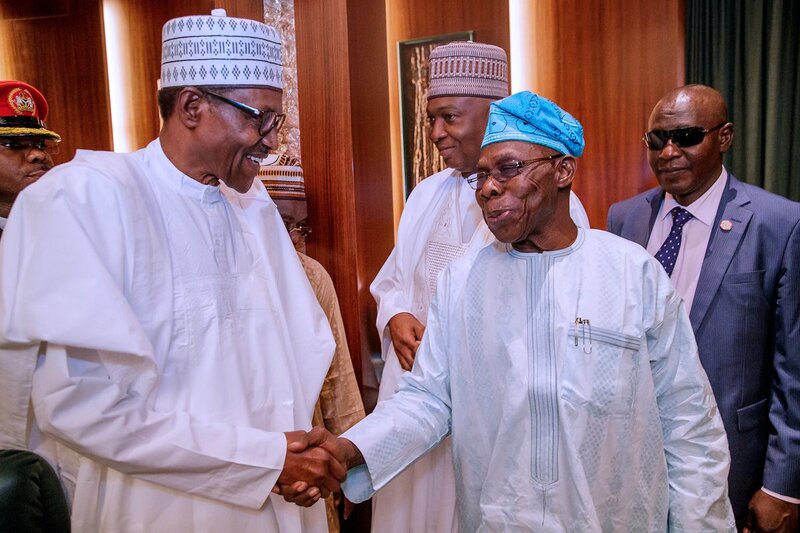 All the occupants are safe and he has continued with his engagements and plans for the day in Kogi State. 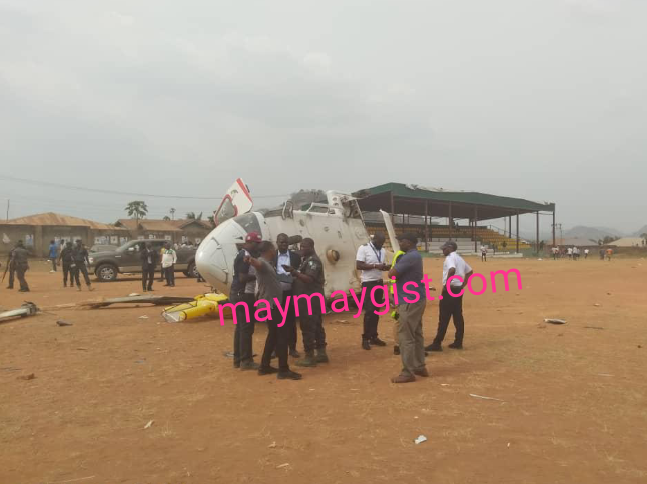 According to an eye witness , the vice president’s helicopter managed to land at about 2.22pm at the township stadium before the propeller of the helicopter suddenly pulled off in the sky but with experience of the pilot he managed to land without casualty. Although, the remote cause could not be ascertained at the time of filing this report but it was learnt that the pilot of the helicopter might have found it difficult to land due to the dusty terrain of the stadium. 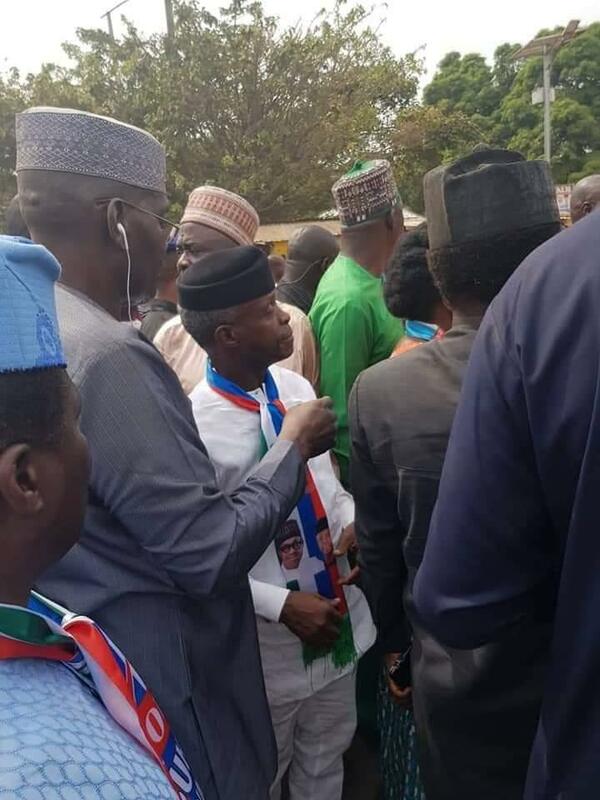 Immediately the incident happened, the Vice president was said to have been evacuated from the scene of the incident into a waiting vehicle and was thereafter driven in convoy of other political office holders to the palace of Obaro of Kabba where he paid a courtesy call. He later addressed some party supporters at St Augudtine ‘s college kabba. 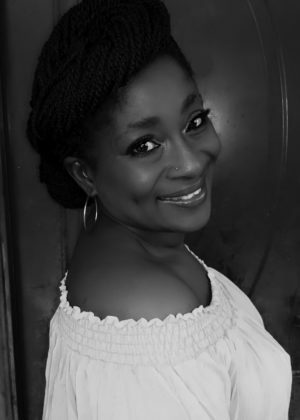 Osibanjo was billed to launch the trader moni in Kabba and was expected to visit Okene in central axis of the state and Idah in the Eastern axis before he returns to Abuja.